TheBunnieHole | Vancouver Youtuber & Blogger: Review: Ora-Brush...the real deal? "...and now for something for something completely different..."
Today I bring you the Ora-brush, yes ladies and gents this is the little tool that could, the seemly obscure yet wonderfully curious personal care object that has taken the inter-web by storm. This is probably the right time to insert that awfully silly bad breath commercial but I'll spare you the pain and just jump right into my review (though do feel free to watch it here). In my adventures as a beauty and style blogger, it's only right that once in a while I try out something seemingly strange and completely out of the ordinary...hey, it's a responsibility that comes with the title of blogger. 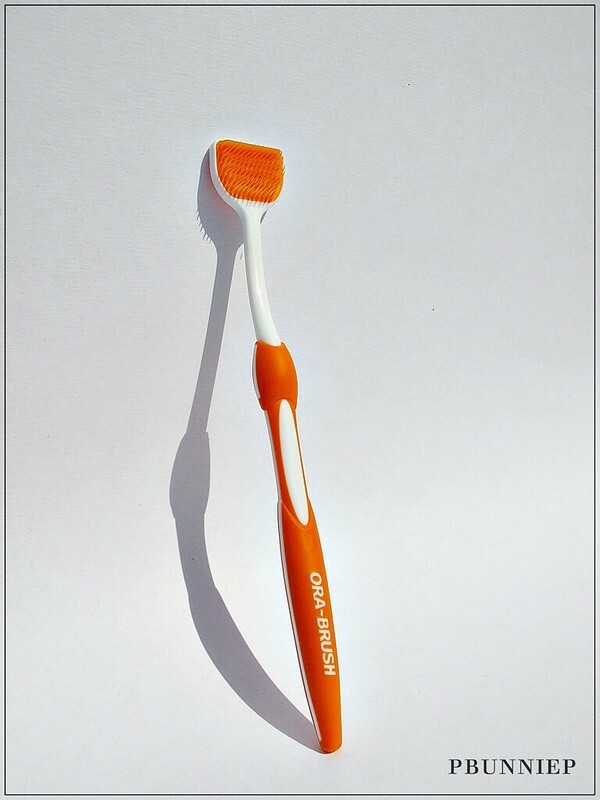 Ora-brush is essentially a tongue cleaner meant to be used as an add on to your daily oral routine. The purpose? To remove food and bacteria buildup on your tongue a place that you may not think about very often and which can lead to the dreaded....bad breath. Sleek, colourful and ergonomical in design, the little details in the Ora-brush stands out as being a well thought out product. It might not look like much but by itself but once I put it to the test, it was immediate how much more effective the Ora-brush functioned in comparison to....my other tongue cleaner. Yes, I thought I'd pull out my Braun electric toothbrush tongue cleaner attachment for a little one on one action with the Ora-brush. Both were designed for the same purpose but who did the job better? Watch my review video to find out more! A little close up view of the Ora-brush, it's specs and measurements. 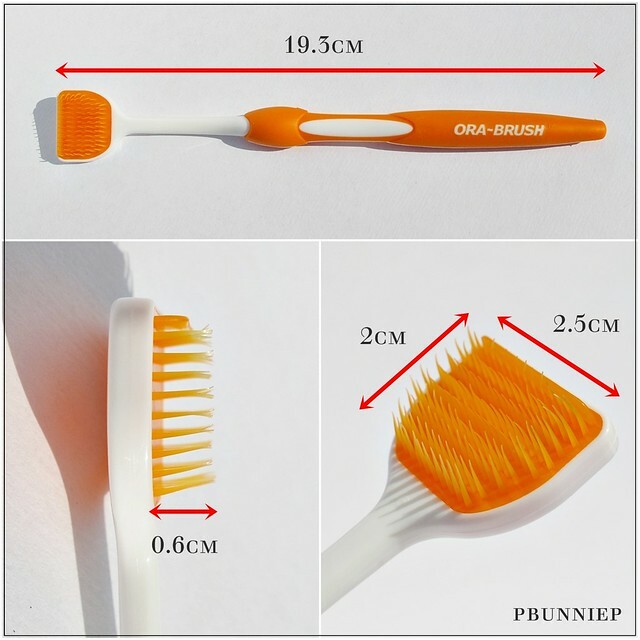 Details like the widely spaced bristles and the long tips makes it better fit to the "geography" of the tongue given its uneven surface and the larger brush head means that it can cover more area in one sweep. 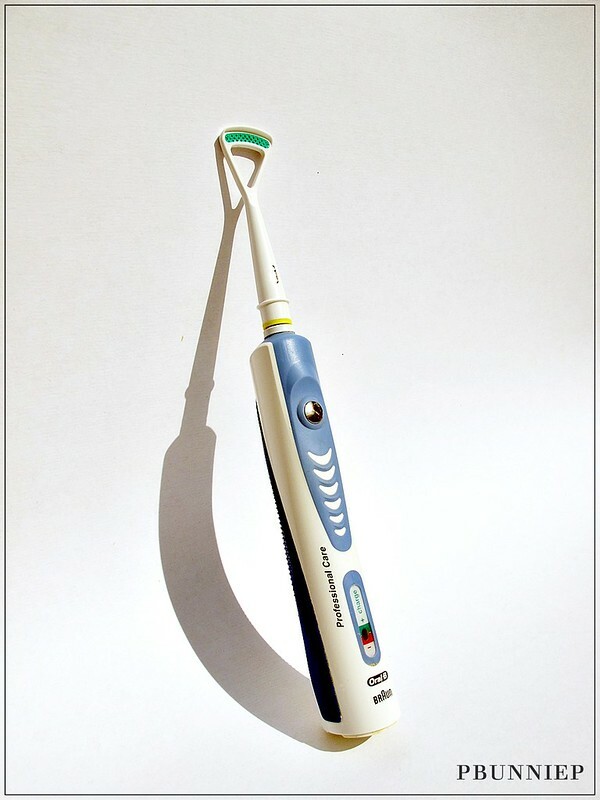 If you are wondering why your fresh mouth feeling disappears by morning when you go to bed, a tongue cleaner like the Ora-brush might be just what you need in your life. Want to do a little testing of your own? Get your own free Ora-brush! I think it's about time I just retired my silly Braun attachment for good. 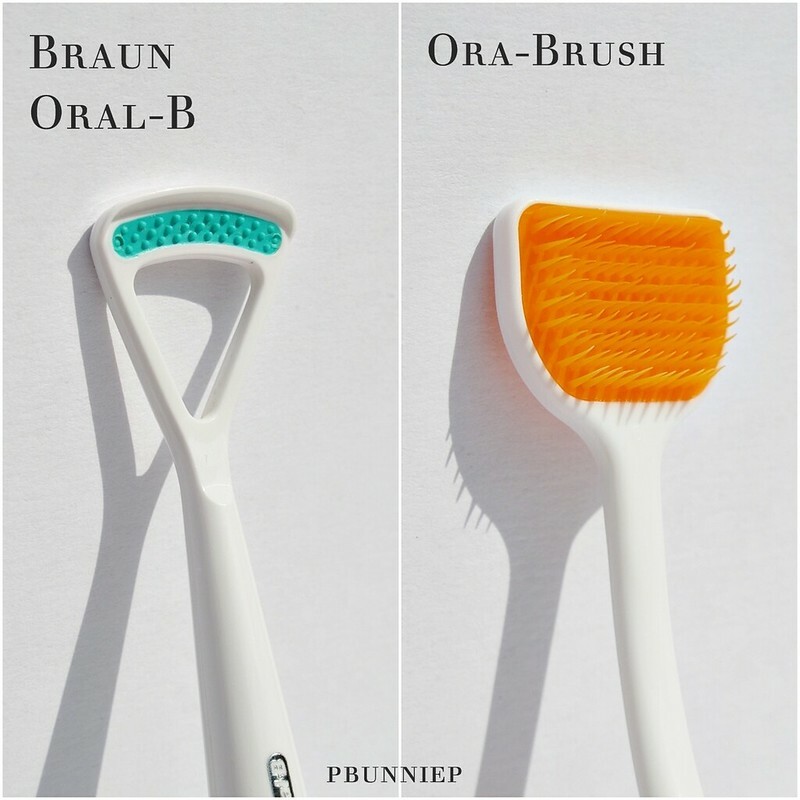 Love my Braun toothbrush to bits and pieces but I think there's no denying that the Ora-brush is a better functioning product when it comes to a tongue cleaner. 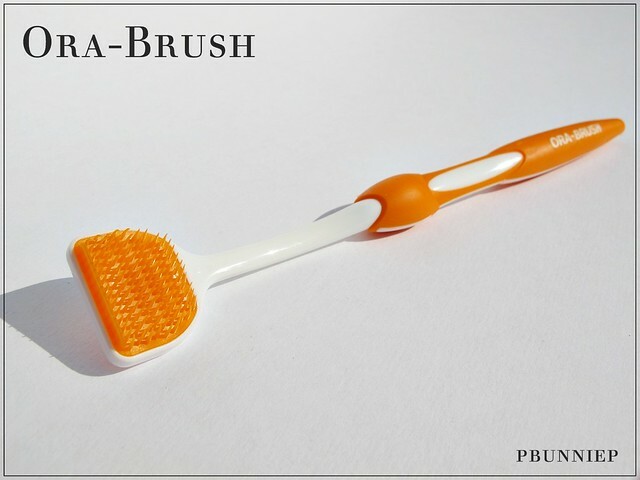 You can find the Ora-brush in London Drugs (Canada only), Walmart, CVS or on their website (www.orabrush.com).